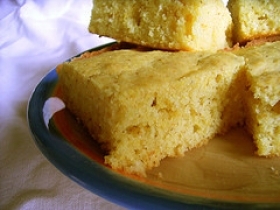 Have you made Caraway Corn Bread? 1. Preheat oven to 425F and generously grease an 8-inch-square baking pan. 2. 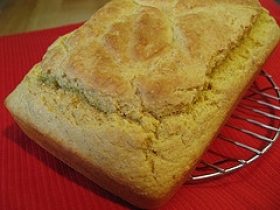 In a bowl whisk together flour, cornmeal, sugar, baking powder, salt, baking soda, and 1 teaspoon caraway seeds. 3. In a small bowl whisk together eggs, milk, sour cream, and butter. 4. 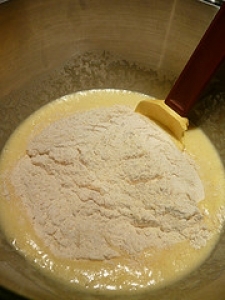 Add milk mixture to cornmeal mixture and stir until just combined. 5. 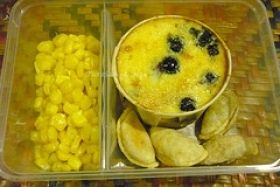 Spread batter in prepared pan and sprinkle with remaining 1 teaspoon caraway seeds. 6. 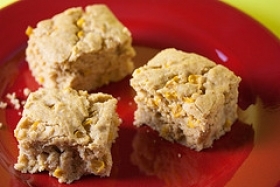 Bake corn bread in middle of oven 20 minutes, or until sides begin to pull away from edges of pan. 7. 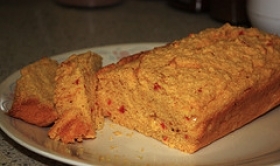 Cool corn bread in pan on a rack 5 minutes and cut into 4 squares. 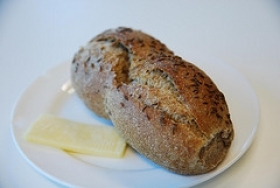 This recipe contains potential food allergens and will effect people with Wheat, Egg, Milk, Butter, Gluten, Corn, Natural Sweeteners allergies.